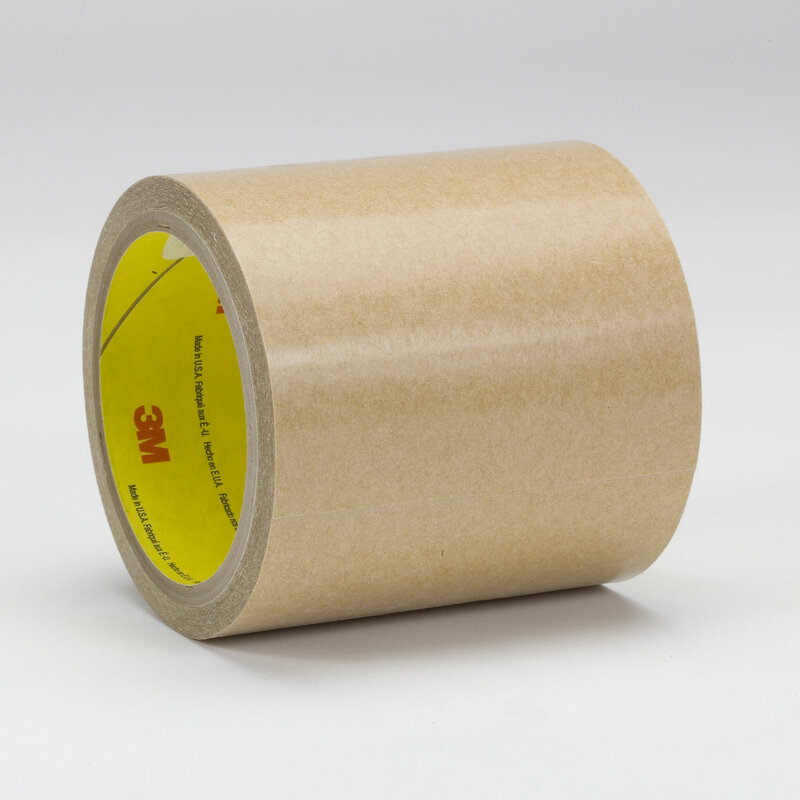 3M™ Adhesive Transfer Tape 950 3M 950 | Fabrico, A Division of EIS, Inc.
5.0 mil, 300 high strength acrylic adhesive with 3.7 mil, 60 lb densified kraft paper liner. High and low surface energy plastics textured plastics, foams, fabrics, and coated papers. Medium temperature resistance up to 250 °F short term. Used as a general purpose transfer tape for a variety of high tack, thin applications. Ideal for a wide variety of similar and dissimilar materials where an aggressive adhesive with high initial adhesion is desired. Splicing of film, foils, fabrics. Laminating foams, photos, fabrics, metal or plastic nameplates.